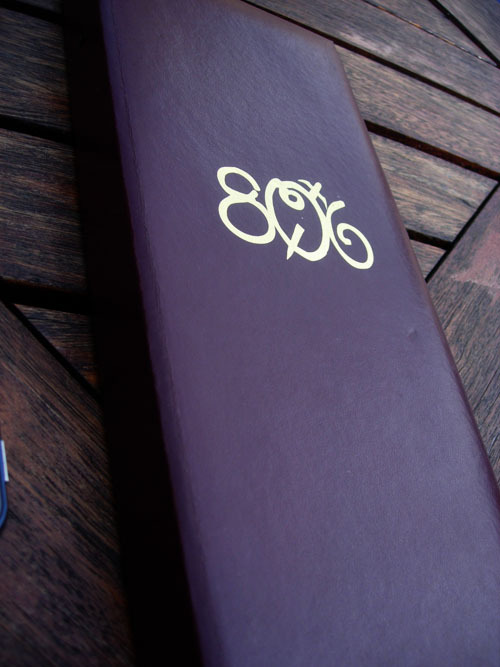 My friends and I started out the evening at 806 Wine & Martini Bar where we drank mojitos and sampled some of their appetizers such as the Shrimp and Asiago Dip and Bruschetta. 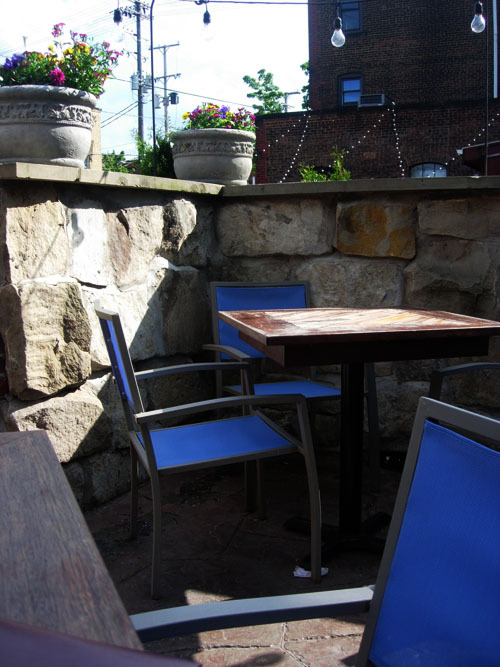 We were able to sit on the patio, which turned out to be warm and sunny, even though rain was predicted. This is within walking distance of Banyan Tree if you are ever looking to get drinks after shopping. 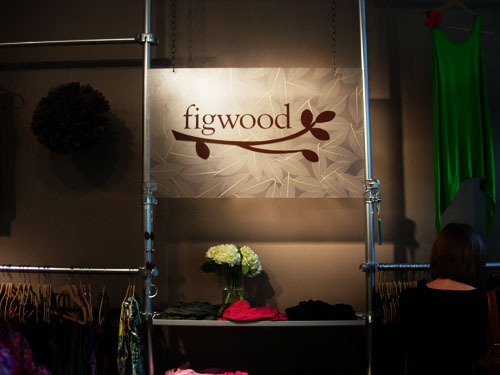 Then we headed over to Banyan Tree to see Figwood. The clothing line seemed to be based on basics with a modern and functional flair of style including both comfortable everyday pieces as well as special occasion wear. 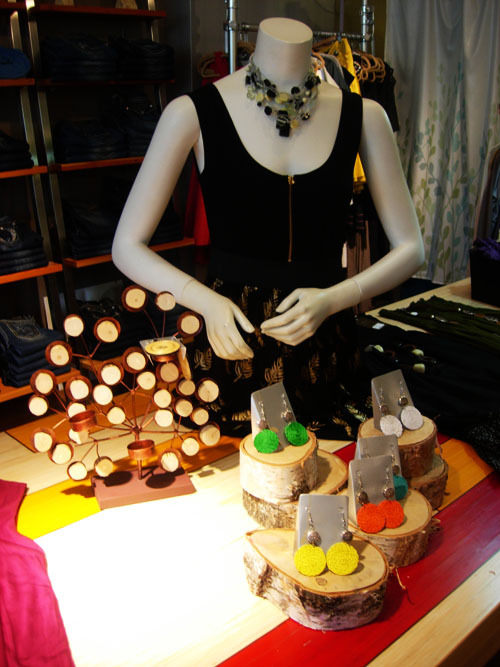 Some pieces that caught my eye were the long tank top with flower pin (pictured above) and a bright yellow print halter dress. Each piece seemed to have it’s own unique cut or embellishment. 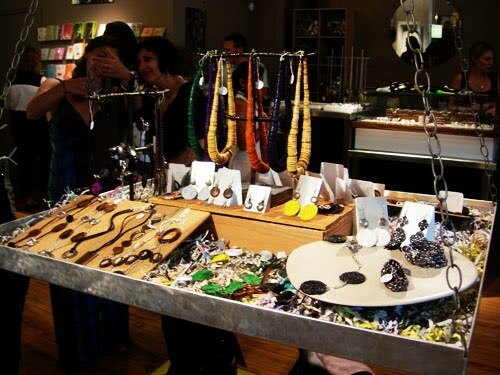 I especially loved the jewelry which consisted of statement necklaces and eclectic bracelets and earrings. 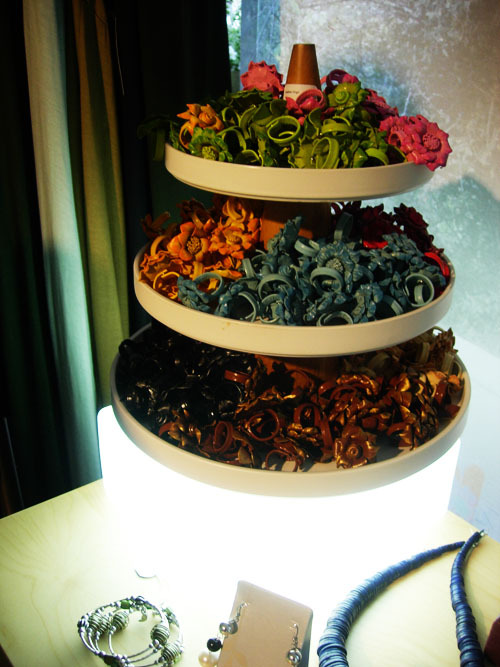 I really loved the leather flower rings. Pretty girls modeled the clothes. Here I am in my mom’s dress from the 80s that she said she bought some time after she and my dad got married. I am also wearing an Old Navy Jean Jacket, Charlotte Russe wedges, and my H&M purse. 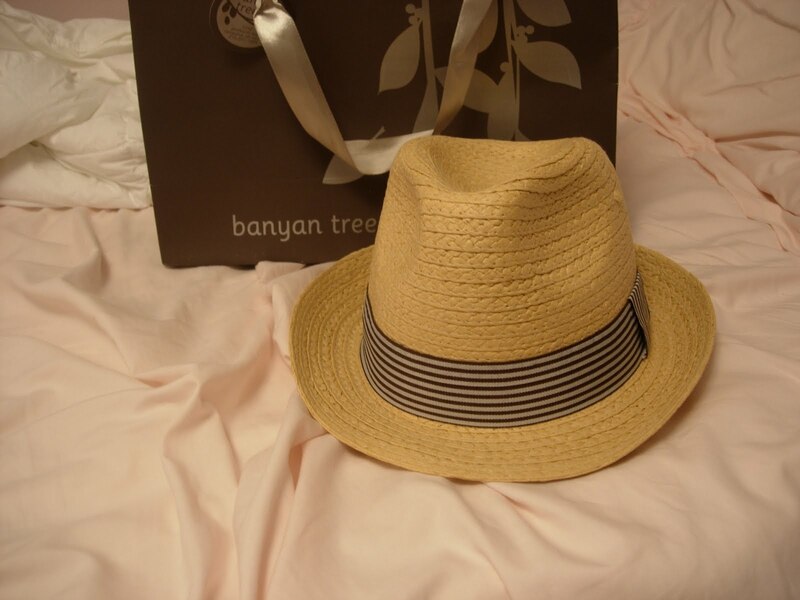 My purchase of the night was this “Panama” style hat. I am excited to wear it at the beach and as an unexpected accessory with summer dresses. Over all it was a fun event. 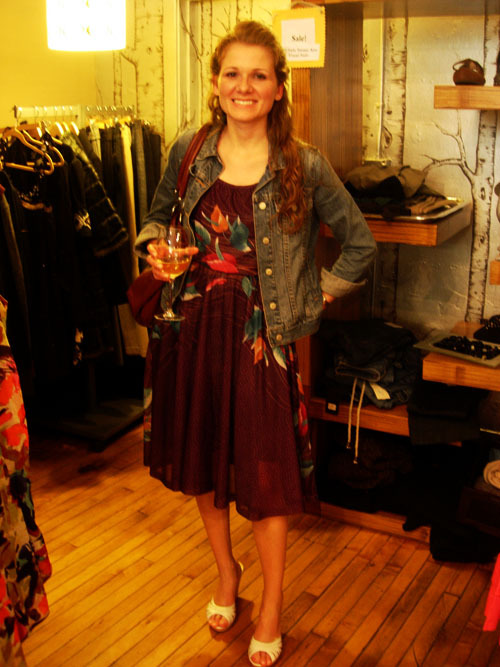 It’s exciting to have a clothing line produced by local Clevelanders like Christie Murdoch, a successful store owner, and Sara Sandberg. 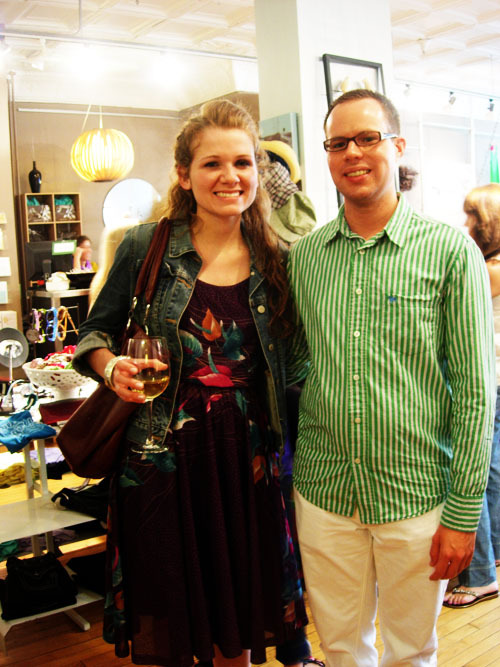 You could definitely say the Banyan Tree is one of those stores that attracts visitors to Cleveland and makes areas like Tremont so unique. Next Post Happy weekend and the unofficial start to summer! All of this looks like a fabulous time! I love that you are wearing vintage-mom's dress! So pretty!